Home > Archive by Category "Housing"
If you are planning to relocate, you might be wondering whether or not you need movers insurance. Given the unexpectedness of what can happen during a move, it might be in your best interest to consider the importance of movers insurance. There have been cases in the past when valuable items were accidently destroyed and no compensation was issued to the individuals moving. Below are some things you need to learn about movers insurance. There are several methods on how you can safeguard your move and household items. You can opt for valuation coverage or buy moving insurance. Here are some of the things you need to know about the two options. When you pack using your own boxes instead of allowing the movers to do it for you, those goods are not covered. If the damages are caused by natural causes such as earthquakes, fires or floods, you cannot be compensated. If you fail to report any damages or lost items in time. The movers offer several valuation options. They include release value protection and full value protection. But these options are not as comprehensive. Therefore, it is vital to have movers insurance. Additional to valuation coverage, you have an option of getting movers insurance. If you’re not throwing a lot of stuff away and you are transporting several valuable items, it is a good idea to purchase movers insurance. This will ensure that things you handle yourself are well-covered. In addition, movers insurance schemes cover items for around 90 days while in storage or transit. What Items are Covered by Movers Insurance? Movers insurance covers a plethora of things. However, it depends on the policy you choose. Generally, the insurance covers damages on household items while in transit or storage. Also, damages to your household goods caused by floods, earthquakes or accidental breakage are covered. Therefore, if you are worried about your LCD screens, computers, and other electronics on transportation, the best idea is to purchase movers insurance. The policy also covers against internal damages to electronics being moved but have no physical damages. Does Your Homeowners Insurance Policy Cover the Move? If you have a homeowners policy, it is not a guarantee that your items are covered during a move. According to Federal Motor Carrier Safety Administration, it is important to check with your individual insurance to fully comprehend if your homeowners insurance policy covers moving. Before moving, it is essential to take photos of all your household goods. This will help you in case you want to file a claim. Also, if you are packing your belongings, ensure you are using the right boxes. Then hire a trustworthy moving company and ensure you have additional movers insurance. All in all, hopefully this article has shown you the importance of movers insurance. With the evolution of technology, there has been an enhanced demand for high-quality roofing materials as well as advanced installation methods. As a matter of fact, all national roofing codes, as well as standards, has one primary thing in mind which is to safeguard the lives of people and also investments apart from protecting public welfare by means of regulating structure and design. An increased desire for sustainability has been likewise reflected by many codes and standards at present. A building which is energy-efficient happens to be a cost-effective establishment. The American Society of Heating, Refrigerating and Air Conditioning Engineers (ASHRAE) releases commercial facility standards, including cold-storage units, semi-conditioned establishments, educational institutions, and warehouses. These standards have been incorporated by the states as well as local building establishments into their building codes. However, Element Exteriors Roofing states that ever-changing ASHRAE standards put emphasis on enhancing a facility’s “envelope,” by means of using polyiso insulation as well as R-value recommendations. With the drop in energy costs, an increment in insulation standards and minimization of the drain on the limited natural resources it has become possible for the building managers to use energy savings to their advantage and likewise be eligible for LEED points by selecting certified roofing systems. The threat of wind damage for low-slope roofs have decreased significantly because of these building codes. Wind uplift which can create negative pressure on the roof’s surface perimeter can undermine the integrity of the roofing system and even loosen the architectural shingles eventually if not built correctly. Enhancements in single-ply membrane attachment fasteners, as well as sheet metal components not to mention the edge details, will help the roofs to resist high wind loads. The wind-resistance standards can differ from one place to another, with the most stringent standards imposed in those areas which experience high winds on a regular basis. The ASCE-7 (American Society of Civil Engineers) updates its criteria from time to time so as to reflect enhancements in the installation methods and also the roofing system technology. Moreover, the roofing systems will be tested on uplift-testing tables so as to make certain that they are able to satisfy the wind-load specifications. The Uniform Building Code (UBC) and the International Building Code (IBC) have set standards depending on either the type of construction or occupancy with the intention of minimizing any damage caused by hail and also preventing any fire from spreading rapidly. These standards have been adopted by the local building codes so as to provide benefits to facilities in their specific areas. The UBC and IBC persist on sticking to the installation specifications of the roofing manufacturer. The IBC provides prescriptive specifications for improving fire resistance and impacts for multiple roofing systems, such as PVC, EPDM, BUR, metal roofs, and coatings. What does it imply for Owners and Managers? As more and more innovative and enhanced national roofing codes and standards are incorporated by the industry, facility managers and owners can always expect slight enhancements in the installation expenses of the commercial roofs out there. This results in more resilient, stronger, and enhanced energy efficiency, reduced repair expenses plus bigger long-term savings. Always remember, professional roofers will continuously be informed of building codes to ensure proper installation. What are appliance and equipment standards? Well, appliance and equipment standards are policies laid down to improve energy efficiency while saving the consumer energy and money. The Department of Energy (DOE) in the U.S. has come up with an Appliance & Equipment Standard Program that targets more than 60 products. This represents almost 90 percent of home energy consumption, 60 percent of the commercial building energy use and 30 percent of the industrial energy consumption. However, Building Technologies Office (BTO) has come forward to implement the minimum energy conservation standards covering more than 60 types of appliances as well as equipment. This is quite encouraging and very helpful to end users of appliances and equipment whether at home or on an industrial scale. Due to the fact that these standards are put in place to shield consumers from incurring high energy costs, many Americans have managed to save a staggering $63 billion on the utility bills in the year 2015 alone. In fact, it is projected that by the year 2030 savings from the cumulative operating costs from all standards since 19187 will rise exponentially to hit a $2 trillion mark. This is good news to the consumers and the government in general. Many professional appliance repair companies like Accredited Appliance are taking notice too. Accredited has been aware of the benefits of these energy efficient appliances for a few years now. What is the work of Appliances & Equipment Standards Program? Provision of key resources to enable consumers to make sound decisions when purchasing their appliances or equipment so they may save on energy and money as well. The program recommends consumers to acquire their products from eeCompass because it stocks easy to use tools. These tools allow consumers to do some research on the products, evaluate and make comparisons between different brands and models besides other performance attributes. The program goes ahead to issue regulations (for appliance and equipment) standards as well as test procedures, certification, enforcement, and implementation. Issuance of waivers on appliance and equipment test procedures. It guides further in the implementations of some helpful regulations. Gives an announcement on comment deadline, public meetings, and information on when to start participating in meetings and explains clearly how to get access to rulemaking documents and dockets. The program provides support to the ENERGY STAR by working in conjunction with the Environmental Protection Agency in order to check on the products and ensure that they meet Energy Star regulations. Through the Regulatory Cooperation Council, the program works in collaboration with the National Resources of Canada. Finally, it provides enough information regarding its own history and impacts, regulatory processes, statutory authorities, plans and schedules including publications and program reports. Appliance and equipment standards programs aim at protecting the consumers and aid them in using energy efficient products. Since the inception of the program, it is evident that a large percentage of consumers have benefited in one way or the other. Why Do You Need A Closing Attorney When Buying A Home? Getting ready to buy a new home? Are you ready for that house that you buy with cash? Wondering if you need a closing attorney? When you’re buying a home there is a lot of paperwork, documents, payments, and other things to deal with. While you may not realize it, a closing attorney can be a huge help to you during the entire closing process. There are many types of lawyers and attorneys, but using a reliable closing lawyer is essential if you’re going through a real estate closing. Below are the top reasons you need a closing attorney when buying a home. 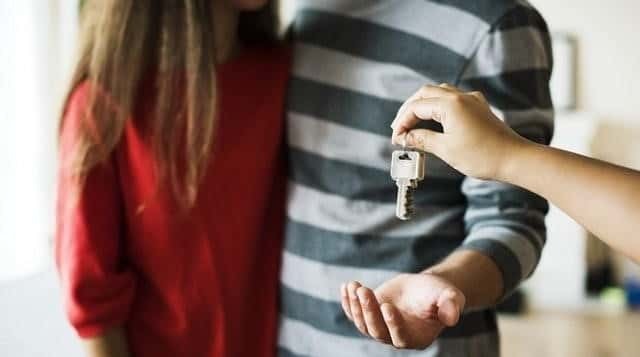 Having a closing attorney help you during the home buying process can be a great help, simply because they can help you make every part of the process more clear. They can help you understand complicated documents and procedures and reduce any vagueness that occurs in home buying paperwork. If anything isn’t clear in the purchase agreements, titles, or other documents, a closing lawyer will help to sort it out. They will ensure that everything is clearly understood by both parties. Communication is crucial when it comes to a home sale. A closing lawyer will help you to successfully and clearly negotiate terms when it comes to the loan and the sale. For all the documents used during the home closing, a lawyer can provide a final review, making sure that everything is accurately written. They will help ensure that there aren’t any surprises or confusing parts for either party. If any issues are discovered then the closing lawyer can help to resolve them and edit the terms to the satisfaction of both you and the other party. The lawyer can help with real estate documents but they can also assist with loan related documents. These documents may include a settlement statement, a deed, a note, a deed of trust and other types of loan documentation that may be required by a lender. A lawyer can be a lifesaver when it comes to helping you deal with purchase agreements. They can explain the forms and make sure you understand what you’re getting into when making a purchase. A lawyer can help decipher all of the legal texts and make sure you’re well prepared in knowing your obligations when purchasing the home. If there is anything that you don’t understand they can help make it clear to you. Even more importantly, if you have specific needs and desires a closing lawyer will help you negotiate with the seller and other parties to meet your needs. This will ensure that in the end, the agreement is pleasing to you and other parties. A lawyer can also help when it comes to reviewing all of the property’s title information. It is important to know exactly what you are dealing with and what the state of the title is. You need to fully review a preliminary title report. A lawyer can be a huge help and can assist with the search for a title. They will be able to find the title for you and review the title for any errors or liens that may have an impact on your real estate purchase. Additionally, an attorney can assist you when it comes to purchasing title insurance. Title insurance can help the buyer and the lender in the case that a problem or issue is discovered with the title at a future date. When it comes to communicating throughout every part of the buying process, a lawyer can be an essential tool. While they can review and edit documents and make sure you are getting what you need with the agreements, they can do a lot more for you as well. Closing attorneys can help to coordinate communication between all parties including the purchaser and the seller. This may also include real estate brokers, surveyors, the seller’s mortgage, potential homeowner insurance companies, inspectors, and contractors, the seller’s attorney, and any other parties who get involved for various reasons. The attorney can also help to coordinate the closing dates and the schedules of the parties involved. It should go without saying but a closing lawyer is, of course, an essential part of the closing day itself. In addition to the many moving parts leading up to the sale, they will also help facilitate the actual closing process and make sure that everything goes smoothly. They can help ensure that everyone is satisfied with their end of the bargain when it comes to signing over the property. The buyer and seller will both be present at the closing but a title company representative, a real estate broker, and the attorney of any lending institutions used may also be present. Additionally, the seller may have their lawyer present. As a result, it’s essential that you have a lawyer of your own there as well. This will help to balance things out and help you avoid getting a bad deal since the seller’s lawyer will be working in their interest at all times. The closing attorney can also help a lot when it comes to the disbursement of any transaction amounts and fees that occur with the sale. There may be a lot of fees associated with the sale, depending on the specifics of the purchase. Some possible fees can include real estate broker fees, county taxes, fees for homeowner insurance, payoff fees of existing loans, pest inspector fees. There can be a lot of various parts to deal with and a lot to keep track of. Luckily, a closing lawyer will be an expert at dealing with these types fees. They can offer a lot of assistance when it comes to these disbursements and can keep track of everything for you. Even if you don’t think you need to use a lawyer for the actual closing, a lawyer can still be an incredibly valuable resource that you can use throughout the home or real estate buying process. If there is anything you are unsure of in documents, agreements, or titles, consulting with a lawyer is an excellent idea. No matter how a home seller found you, whether it was through traditional methods or through more modern marketing methods such as Realty Flux, you’ll likely have questions every step of the way. From start to finish, a closing attorney can be an enormous help. Additionally, a lawyer can also help you to understand the sometimes complicated procedures and tax consequences of buying a home and help you make sure you know what is to be expected when it comes to your taxes for the year. No matter what your specific needs are the chances are that an attorney can help you with the process. They can also help the legal jargon become more clear to you. Whether it’s your first time buying a home or you’ve been through the process before, or if you just need tips on how to purchase home insurance, an attorney can help you know exactly what you’re getting into. Looking for help with your home or real estate purchase? Check out the Halt Lawyer Directory now to find the perfect closing attorney for you.